British MP for Henley, John Howell paid a two day second visit to Nigeria in the hope of further strengthening ties between the two countries. John, 61, who is the Prime Minister’s Trade Envoy to Nigeria arrived on the 27th to a very short and busy schedule. 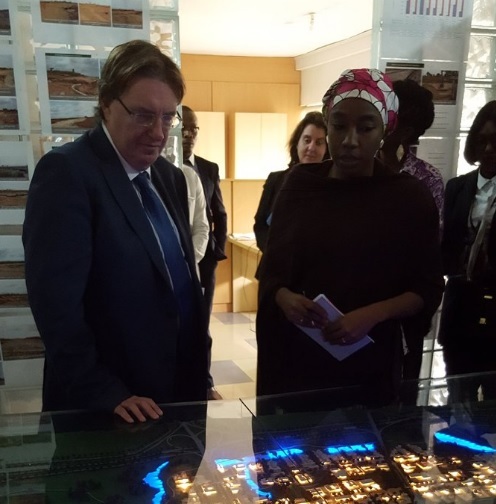 He started his day at Centenary City where he learnt about its vision, progress and what was in it for Britain before moving on to Abuja Tech Village. 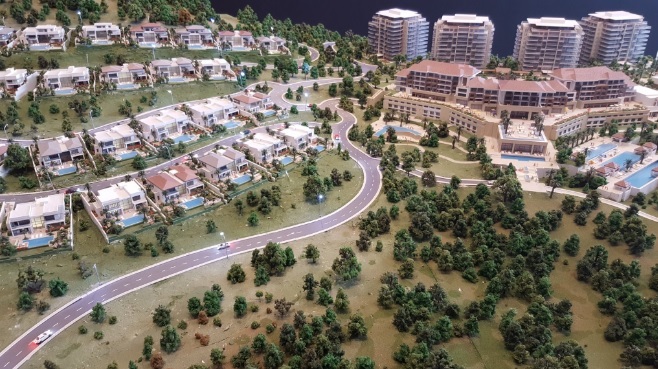 The tech village headed by Hauwa Yabani is a ‘Science and Technology Park’ currently being developed to ‘British standards’ while the Centenary City, a Dubai and Abu-Dhabi inspired project also in progress, is being created to offer a cosmopolitan lifestyle and community to approximately 137,000 upmarket residents. 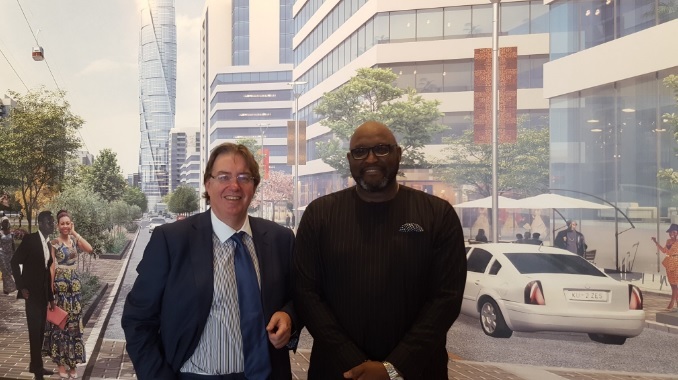 On his second and final day, John with his ‘UK in Nigeria’ team in town, attended a host of events including an NBCC round-table discussion, the Nigerian Stock Exchange, meeting with the Trade Investment Minister and finally an interview at radio broadcasting firm, WE FM 106.3. 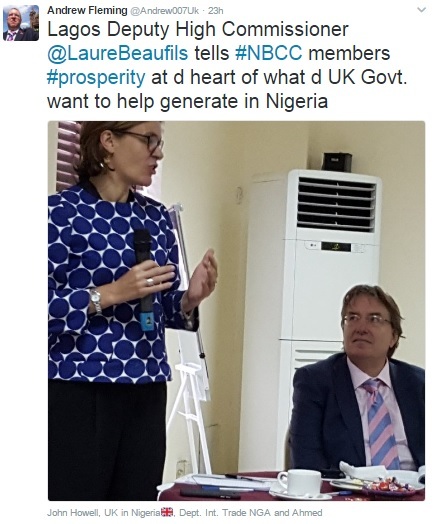 He stressed Britain’s aims to generate prosperity in Nigeria with hope of getting back on the top list of Nigeria’s non-oil exporters. This second visit reflects a blog posts in which he expressed keenness on securing a good relationship with Nigeria given positive economic forecast. UK Nigerian British MP, John Howell, pays a second visit to Nigeria to strengthen ties Bookmark the permalink.